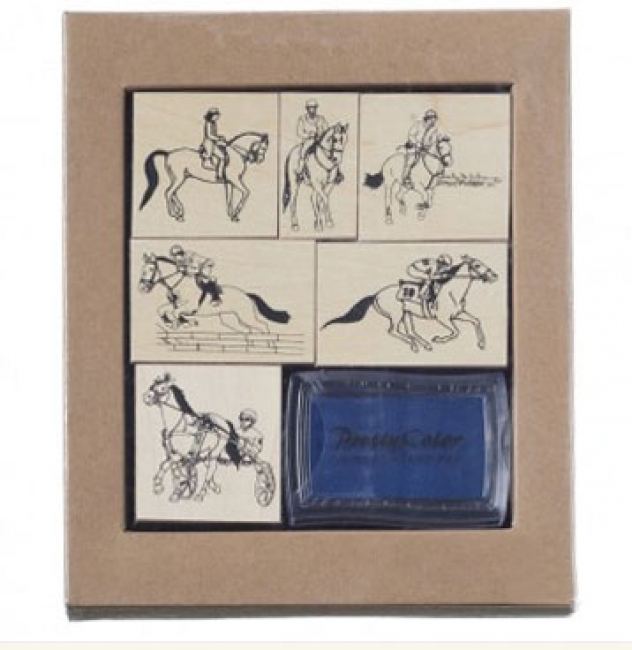 This fun JT International English/Racing Stamp Set is perfect for the young horse lover. 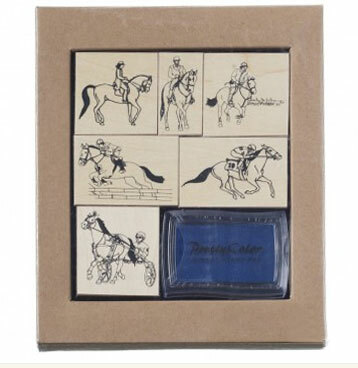 Six different stamps feature different horse and rider scenes, from english riding and jumping to racing. A navy blue pigment pad gives the stamps a beautiful color on paper. A fun art project and a great gift for the horse enthusiast! Size: 1" by 2", or 2 1/2" by 1 3/4"